Welcome to a CBS-themed incarnation of Development Hell, the fiery pit into which we fling recent CBS-related developments in casting, distribution, and everything else that’s new and mildly interesting in the Boschian phantasmagoria of the entertainment industry. We’ve already heard a bit about what CBS is planning for its big Murphy Brown revival thanks to the network’s Television Critics Association panel today, but CBS All Access seem to have put on a slightly bigger show for the critics in attendance today. That makes a lot of sense, since All Access needs to do some work to remind people that it has bigger aspirations than simply being the place where you can stream Star Trek: Discovery and The Good Fight, and it did that today by showing new teasers for Kevin Williamson’s dark fairy tale drama Tell Me A Story and the small town mystery One Dollar. CBS also teased when we’ll be able to see Jordan Peele’s Twilight Zone reboot and—because it knows which side its bread is buttered on—offered some details on its various Star Trek projects. So let’s get into all of that. 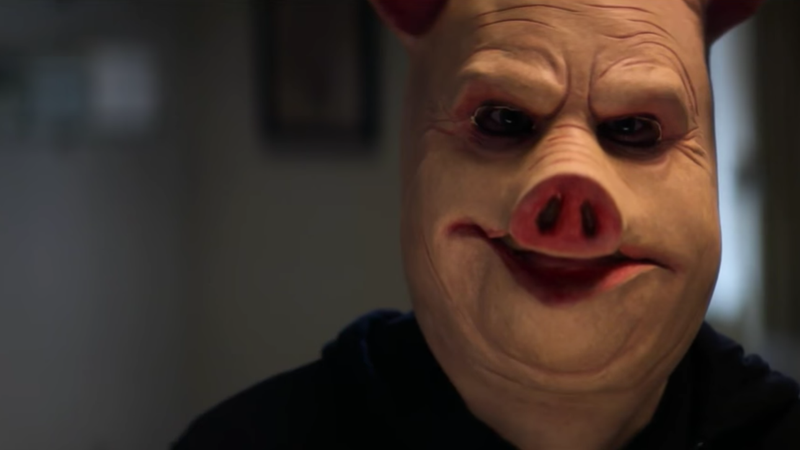 Tell Me A Story comes to CBS All Access on October 31, and this trailer makes it look like a worthy follow-up to Williamson’s work on The Following and the Scream series. The basic premise is that it takes place in a world where various fairy tales are integrated into a “dark and twisted psychological thriller” (as the YouTube description puts it). It stars Billy Magnussen, Kim Cattrall, and Paul Wesley. Jordan Peele and Simon Kinberg’s new Twilight Zone is expected to debut after the return of Discovery, but that’s still all we really know about that. Maybe some of the episodes will involve someone learning an ironic lesson or facing some darkly appropriate form of cosmic justice? If you like dark thrillers and mysteries, CBS All Access must be looking better and better thanks to this trailer for One Dollar. The show is about a single dollar bill that somehow connects a number of people in a small town to a big murder. It’ll premiere on August 30. Meanwhile, The A.V. Club’s Deputy TV Editor Danette Chavez says that the Short Treks spin-off series we recently learned about will consist of four, 15-minute episodes telling standalone stories set in the Star Trek universe about Rainn Wilson’s Harry Mudd, Doug Jones’ Saru, Mary Wiseman’s Ensign Tilly, and some kind of horror story starring Aldis Hodge as a man trapped in an abandoned ship. New episodes will come out monthly. God Friended Me, the show where a guy gets a friend request on Facebook from God, is apparently very “grounded.” That’s weird, but it comes from Greg Berlanti and stars Brandon Michael Hall, which both seem like good signs.